Premier John Horgan and Green Leader Andrew Weaver at the announcement of the CleanBC plan on December 5, 2018. Photo: Province of B.C. VANCOUVER / MUSQUEAM, SQUAMISH & TSLEIL-WAUTUTH TERRITORIES — Five leaders in British Columbia’s corporate sector are applauding the B.C. 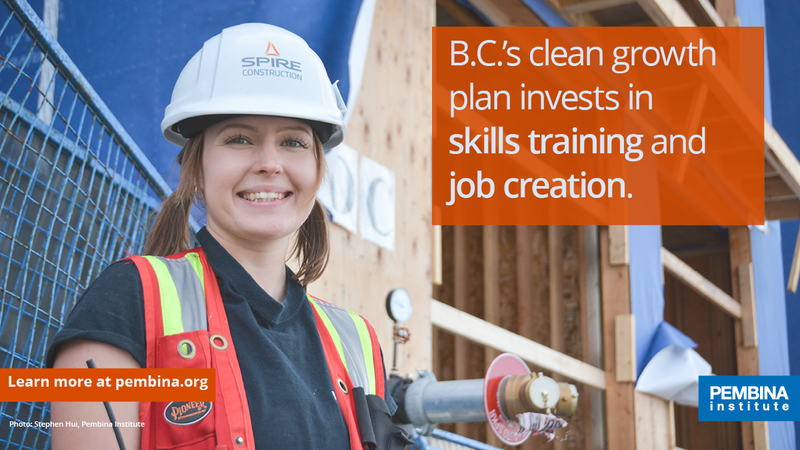 government for laying out a bold vision for clean economic growth in the province. Today, Arc’teryx, Climate Smart Businesses, Innergex Renewable Energy, the Insurance Bureau of Canada, and Vancity issued statements welcoming the province’s new climate plan as a bold step toward securing a prosperous, low carbon future for B.C. 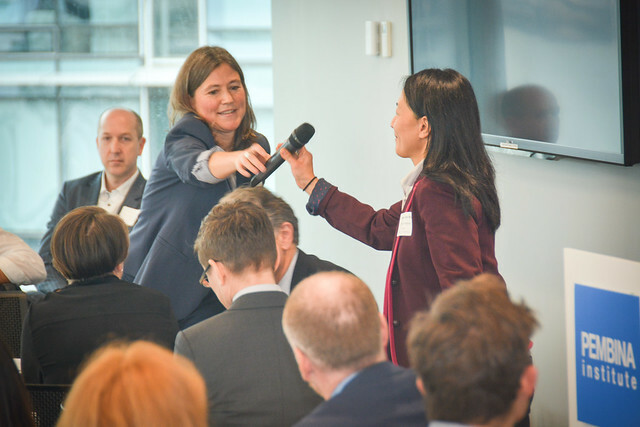 These prominent companies and organizations are the founding partners of Businesses for B.C.’s Clean Economy, a new initiative of the Pembina Institute. They operate in the apparel, social enterprise, energy, and finance sectors. 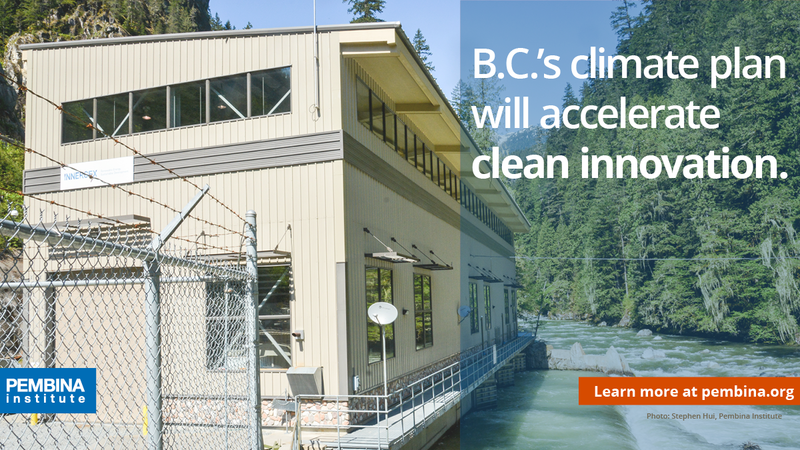 Businesses for B.C.’s Clean Economy is a network of leading B.C. businesses and organizations aligned behind a vision for a clean and prosperous economy and climate action. We believe that strong climate and energy policy provides certainty and is good for business. Arc’teryx is a global design and manufacturing company based in North Vancouver, Canada, specializing in technical high-performance apparel, outerwear and equipment. Our products are distributed through more than 3,000 retail locations worldwide, including 33 owned brand stores globally. Climate Smart Businesses, an award-winning certified B Corp, has developed a practical and solutions-based program specifically for small and medium-sized businesses (SMEs) to profitably track and reduce greenhouse gas emissions. Since 2007, Climate Smart has helped close to 1,000 businesses and 40 partner cities and organizations prepare for and participate in the low-carbon economy. Innergex Renewable Energy is a renewable energy company that develops, acquires, owns, and operates hydroelectric facilities, wind farms, solar farms, and geothermal power generation plants. Innergex is a Canadian company with a global portfolio currently consisting of interests in 68 operating facilities across five countries with an aggregate net installed capacity of 2,091 MW (gross 3,072 MW), including 22 operating facilities with a net installed capacity of 604 MW (gross 990 MW) in British Columbia. The Insurance Bureau of Canada (IBC) is the national industry association representing Canada's private home, auto and business insurers. Its member companies make up 90% of the property and casualty (P&C) insurance market in Canada. Vancity is a values-based financial co-operative serving the needs of its more than 525,000 member-owners and their communities in the Coast Salish and Kwakwaka’wakw territories, with 59 branches in Metro Vancouver, the Fraser Valley, Victoria, Squamish, and Alert Bay. With $26.4 billion in assets plus assets under administration, Vancity is Canada’s largest community credit union.